for his kisses to have healing powers. listening to let his words be true. best disciple. Just give me this man. Please. if I were to force my eyes off of him and look at myself in the mirror I’d see the same emotions reflected back at me. have a choice.” He absorbs whatever argument I was going to say with his kiss. makes me feel. He completely surrounds me and I get lost in him. Just like he wanted. "On the eve of my thirtieth birthday, I had it all. Or so I thought." This was such a tough read. 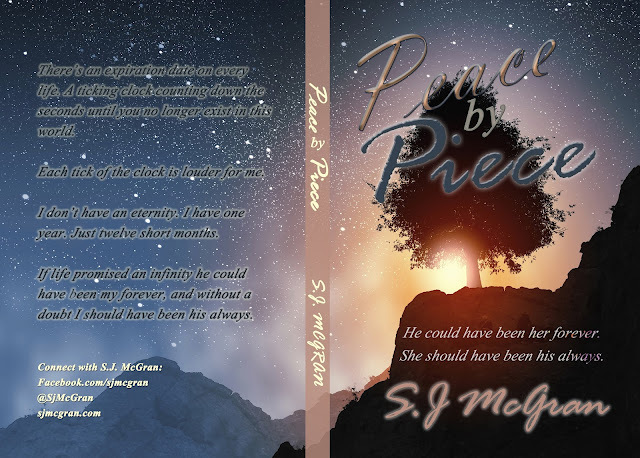 After the reading the synopsis, I struggled emotionally to find the will power to start Peace by Piece. What is a greater fear than losing the one you love? "I hope I never take his love for me for granted. I hope there is never a day in my life where the words I love you, falling from his lips no longer make me feel like I’m weightless." Genevieve faces a terrifying fear...finding out she's ill, and falling in love. Being such a strong woman, I couldn't help but cheer V on. But at the same time, I found myself thinking about what I would have to do if I were in her position. Levi, well...he is a guardian angel. He takes risks and surprised me with his actions. SJ sets the setting of the story perfectly, and opened our eyes to a very real, and very scary real-life issue. "When she looked at me with those eyes I dream about and gave me a small, shy smile I should’ve known she’d knock me down." 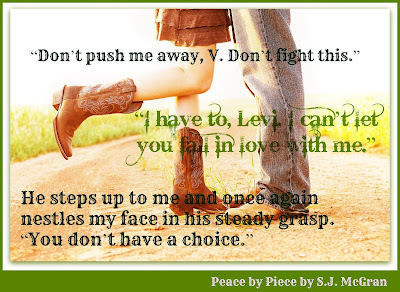 I love SJ's writing. There is so much passion in the words she writes. 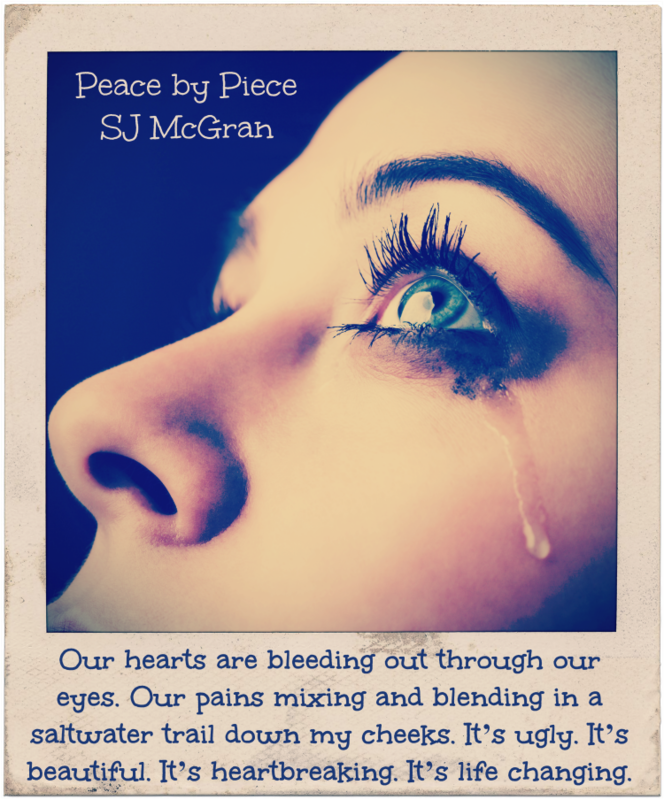 In Peace by Piece, she choose to open us up to a very real scenario. It was so hard not to get wrapped up in the story.